The theme for Dwart’s third issue is Uprooting. We are looking for original and compelling pieces that touch on this through such subthemes as death, spiritual disconnection, physical distancing, cultural alienation, memory loss – just anything that reminds us of a flower being pulled out of the earth. We want a portrayal of the tragedies and comedies of losing one’s root. Pieces that break stereotypes and are told with extra-ordinary confidence will appeal to us more. We have interest only in works that have not been published elsewhere. Every submission must be accompanied by the writer’s/artist’s/photographer’s short bio. This should be in the same document as the piece. Please write the category you are submitting to in the Subject line of the email. 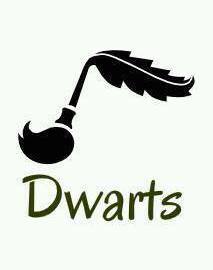 POETRY: Dwarts accepts not more than two poems from a single poet for this issue. Each poem must not be longer than 30 lines. If more than one, the poems must be contained in a single document. FICTION: Submissions in this category must not be more than 3,000 words long. Every submission is expected to be compelling enough to pin one down with startling sentences and fluttery story lines. NON-FICTION: Submissions in this category should be creative and, at the same time, informative. Each submission must not be more than 2,000 words. ART & PHOTOGRAPHY: Dwarts accepts a minimum of two and a maximum of four art works or creative photographs that clearly depict the theme. Submissions in this category must be made as PDF files. DRAMA: Short plays that span not more than 6 pages of A4 paper are encouraged. The formatting must be consistent. Submission for this issue runs from January 8th, 2017 to March 2nd, 2017. We look forward to having your work.